Consultants often have to present data of a geographical nature. And what better way is there to present such information than by using a map as a visual aid? You can download maps as image files for free but these can be difficult to customize as you would require image editing software such as Photoshop to edit them. 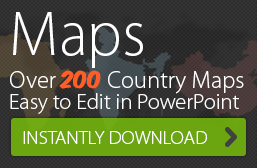 24point0 has made it simpler for you – you can buy editable maps of different countries having various levels of detail. You can layer information on these versatile maps to show the geographical impact of business operations. 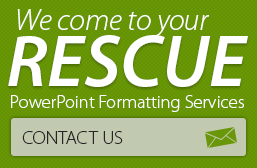 Read on for the next PowerPoint presentation tip for consultants.